"400 U.S paratroopers. 4,000 Vietnamese soldiers. 12,000 miles away from home. 1 man led them into battle." We Were Soldiers is a dramatization of the record of one of the first major American offensive actions in the Vietnam War. These actions were recorded by Lt. Col. Harold Moore and journal the heroics of the men under the command of Sgt. Major Bill Plumley. In the traditional thread of Icon Pictures productions, Mel Gibson and director Randall Wallace accurately portray intimate moments on the US side of the Ia Drang invasion of 1965. The Vietnam conflict ended only four decades ago and is already the subject of dire speculation and controversy. 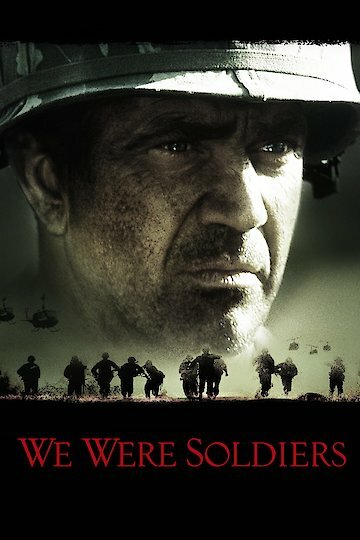 We Were Soldiers removes political persuasion from one of the bloodiest American conflicts and rests an incredible true story on the shoulders of a dynamic platoon of consummate gentlemen risking their lives on foreign soil. Despite decades of public misinformation, the film aspires to portray some of the country’s best and brightest draftees learning to shed their notions of propriety and fully engage themselves in a battle which is most certainly life, or horrible death. The film is bloody, rough, loud and authentic, yet not without moments of humor, humanity and bittersweet respite. In the staring role, Mel Gibson delivers another classic, heartstring-plucking portrayal of a heroic figure chosen by fate and tempered by great fortune. He is not without a corps of faithful and dynamic compatriots that teach the viewing audience about what landing forces had to endure during the Vietnam conflict. We Were Soldiers is a refreshing intimate recount of the journal of a single Vietnam veteran, yet it clearly sojourns into realms that are usually reserved for films which address conflicts of the distant past. In a few years, this film has become a viewing favorite of people celebrating patriotic holidays like the Forth of July, Flag Day and Memorial Day. The film is about the blatant horrors of death, but it is also a testament to the possibilities that emerge from courage, honor and bravery. We Were Soldiers is currently available to watch and stream, download, buy on demand at Starz, Amazon, Vudu, Google Play, iTunes, YouTube VOD online.